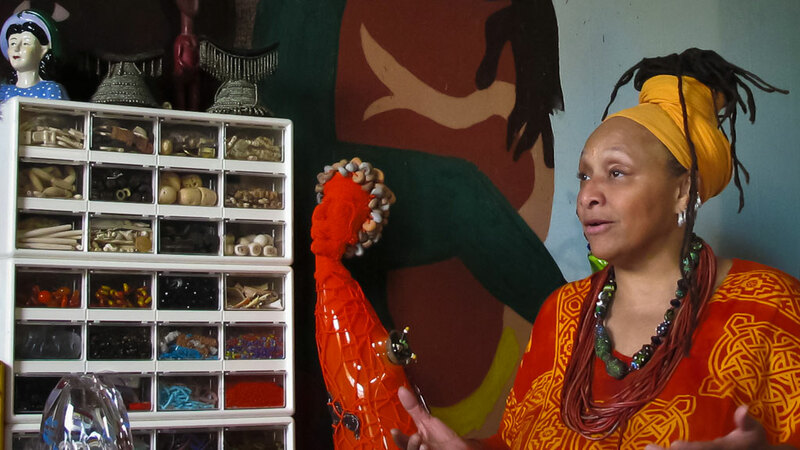 Joyce J. Scott, and her distinct approach to sculptural beadwork as social criticism, is featured in the MESSAGES episode. In May, Scott was also awarded the significant Mary Sawyers Imboden Prize of the 2016 Baker Artist Awards, a prize given to artists who exemplify a mastery of craft, commitment to excellence, and a unique and compelling vision. 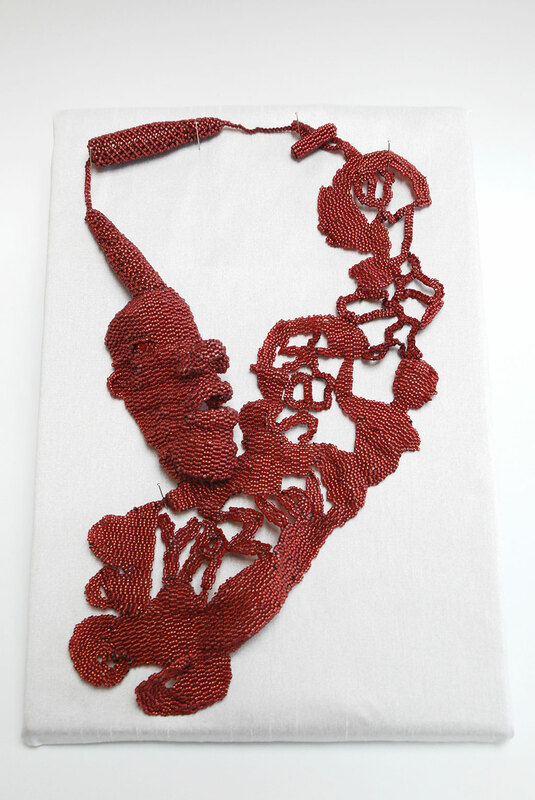 Notable exhibitions are “Joyce J. Scott: Kickin’ It with the Old Masters,” Baltimore Museum of Art (2000); “Joyce J. Scott: Truths and Visions,” Museum of Contemporary Art Cleveland (2015); “Glasstress” (group show) at Venice Biennale (2013); “Represent” (group show) at the Philadelphia Museum of Art (2015). Some major institutions with Scott’s work are the New York’s Metropolitan Museum of Art and Museum of Arts and Design; the Philadelphia Museum of Art; the Museum of Fine Arts in Houston; in DC, The Smithsonian’s American Art Museum and recently the new National Museum of African American History and Culture has accessed a piece. Congratulations Joyce!